The Walter Camp Football Foundation has announced the Football Bowl Subdivision National Offensive and Defensive Players of the Week, presented by Generation UCAN, for games ending October 14. True freshman AJ Dillon rushed for 272 yards (on 39 carries) and four touchdowns as Boston College defeated Louisville, 45-42. Dillon scored on runs of 1, 3, 11 and 75 yards as the Eagles improved to 3-4 on the season. Dillon finished with the third-best single-game rushing total in school history and the most ever by a true freshman in Boston College history. Notes: AJ Dillon is the fifth Boston College player to earn Walter Camp National Player of the Week honors since 2004, and the first since running back Andre Williams (Nov. 17, 2013). 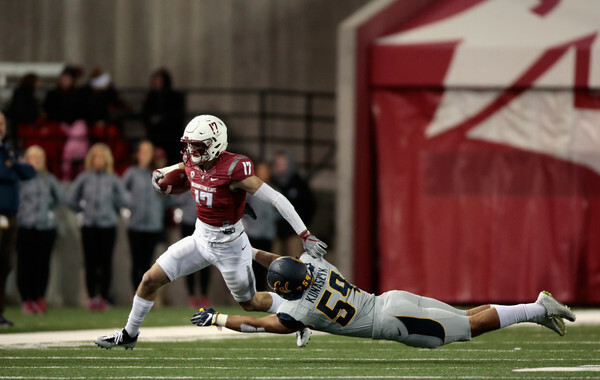 Jordan Kunaszyk recorded 11 tackles (5 solo), 2.5 quarterback sacks, forced one fumble and made one interception as California defeated 8th-ranked Washington State, 37-3. 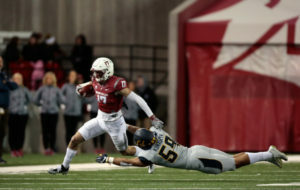 Kunaszyk led a Golden Bear (4-3, 1-3 Pac 12) defense that allowed a Cougar offensive that entered the game averaging 39.7 points a game to just three points and 328 yards. Notes: Jordan Kunaszyk is the fourth California player to earn Walter Camp National Player of the Week honors since 2004, and the first defensive honoree (WR DeSean Jackson, 9/30/07; RB Shane Vereen, 11/22/09 and QB Jared Goff, 9/28/14).